Cuckcoo Kochar earned a Master’s Degree in Engineering and started his career in project design and site engineering for several municipal infrastructure projects in Quebec. In 1977 Cuckoo became a manager at the Canada Mortgage and Housing Corporation in Ottawa. In 1988 Cuckcoo recognized an opportunity to develop land in Ottawa and formed the DCR/Phoenix Group of Companies as the President and CEO. Cuckcoo was a member of several organizations such as the Association of Professional Engineers of Ontario, Member of the Order of Engineers of Quebec, Board of Directors of the Canada Mortgage and Housing Corporation and Associate Member of the Engineering Institute of Canada. In addition to a successful career in engineering and business, Cuckoo has many community involvements such as over a million dollar scholarship program at the Carleton University, donating $250,000 to the Cancer Institute of the General Hospital of Ottawa and organizing many fundraising events. Cuckoo has been recognized by the Association of Fundraising Professionals Ottawa Chapter as the “Outstanding Individual Philanthropist” for 2017. Deepak Chopra is the President and CEO of Canada Post Corporation. 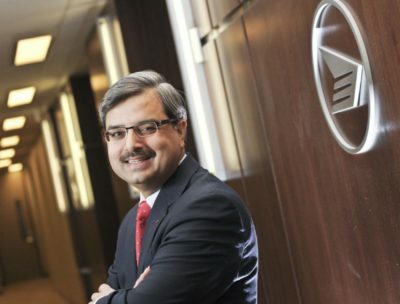 Under Mr Chopra’s leadership, Canada Post has shown profits quarter after quarter in a digitally changing environment, making it the country’s number 1 parcel company. He was also the President and Chief Executive Officer of Pitney Bowes Canada and Latin America. Mr Chopra has more than 25 years of experience in the financial services and postal industry globally. Mr Chopra believes that communities are the heart of our nation and supports Canada’s diverse communities and aboriginal entrepreneurship. Mr Chopra serves on the boards of Canada Post Corporation, Purolator, SCI Group and the Conference Board of Canada, and chairs the board of the Canada Post Community Foundation, a charity devoted to children’s causes. On one of Oprah’s blogs, Mr Chopra personally addresses life issues of stress by illustrating balance in life can be achieved by focusing on Ayurveda. It is a traditional Indian medicine that focuses on the mind-body connection. Through his teaching, he has become one of the best-known in alternative medicine. Mr Chopra is a Fellow of the Institute of Chartered Professional Accountants (FCPA) and has an Honors bachelor’s degree in Commerce and a master’s degree in Business Management. 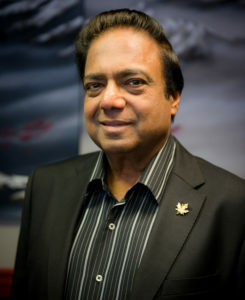 Nadir Patel began his career in 1990 at the Canada Customs and Revenue Agency, serving in progressively more senior positions in the agency’s offices in Kitchener-Waterloo, Ottawa and Montréal. From 1997 to 2003, he served as Departmental Assistant to the Minister, Director of Ministerial Services, Agency Adviser to the Minister and Secretary to the Board of Management. In 2003, he transferred to the Privy Council Office, serving as Chief of Staff to the National Security Advisor to the Prime Minister, Associate Secretary to the Cabinet, and Deputy Minister to the Deputy Prime Minister. From 2005 to 2006 he served as Senior Policy Adviser to the Clerk of the Privy Council and Secretary to the Cabinet. In 2006, he was appointed by the Minister of International Trade and the Minister of Transport as Canada’s Chief Air Negotiator. Mr. Patel served as Consul General in Shanghai from 2009 to 2011. Afterwards, he was the Assistant Deputy Minister for Corporate Planning, Finance and Information Technology, and Chief Financial Officer at Global Affairs Canada. 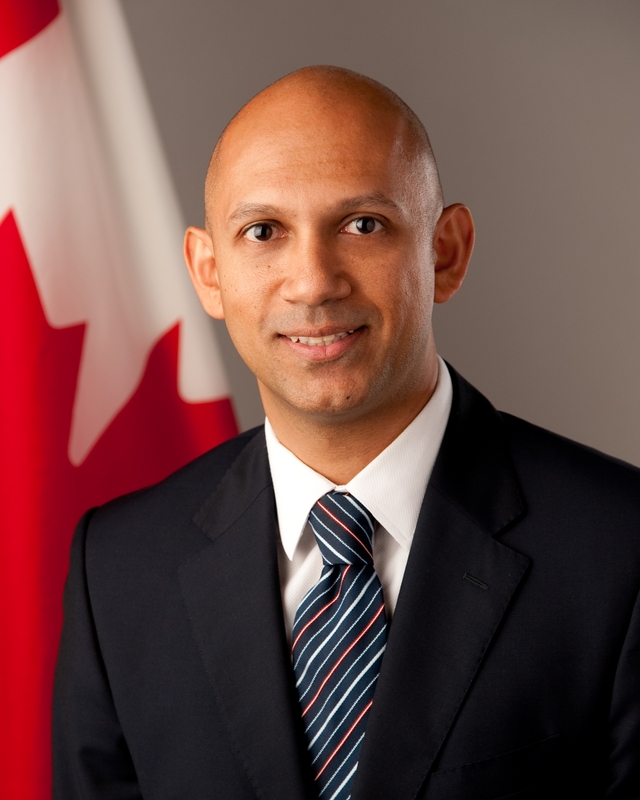 Since 2014, Mr. Patel has served as High Commissioner of Canada to India in New Delhi. He holds concurrent accreditations as Ambassador of Canada to the Kingdom of Bhutan and as Ambassador of Canada to Nepal.